Being influenced by the ECB Representative, Euro rate started falling on Monday. 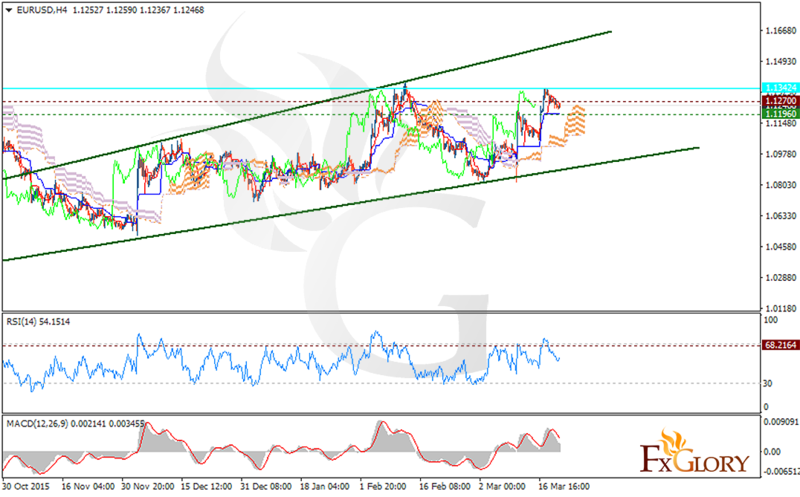 EURUSD had a decline on Monday after reaching 1.13423 on Friday moreover the RSI indicator is signaling a correlation. Bulls are targeting 1.1400 and for tomorrow it will climb the ascending channel. The support is resting at 1.1196 with resistance at 1.1270. The Ichimoku indicator is also showing a buy signal with the price above the Ichimoku Cloud and the Chinkou Span. The Tenkan-sen and the Kijun-sen are signaling a horizontal movement. Furthermore the MACD is in positive territory supporting the price growth. A breakout from 1.1260 is a strong buy signal for buyers targeting 1.1350.